In short, if the way you're getting your medicine seems just too good to be true--then it very likely is, and the dangers of buying your medicine that way are manifold. It is in your own greatest interest to make sure that the drugs you are buying are indeed what they advertise themselves to be--and are not chemicals that create even more problems than they claim to address. 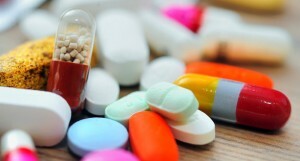 Thanks for finally writing about >Counterfeit Prescription Drugs: How to Protect Yourself - Drugsdb.com <Loved it!